Summer is my family’s favourite time of year – we’re very blessed to live 5mins away from many beautiful beaches. It’s not surprising to know we spend nearly every weekend during summer at the beach. We have added a Video tutorial using a handprint which you can view below. We look forward to trying some other designs in the sand – maybe some writing or paw prints would be fun :). Please let me know if you make one…we love to hear feedback on our crafts :). Have fun! 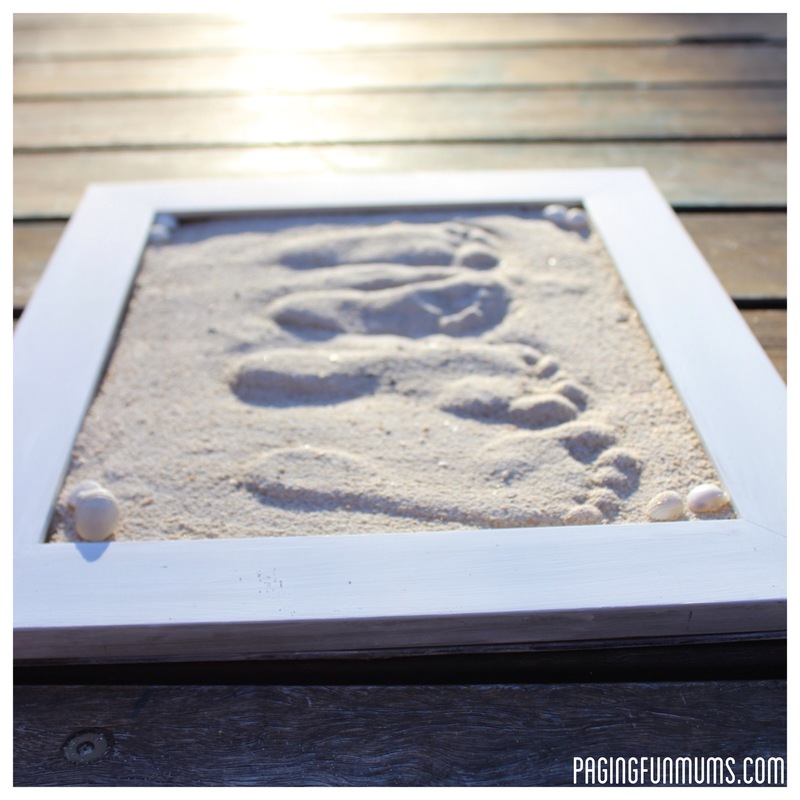 Sand Footprint moulds – using just a Photo frame, sand, plaster of paris and some shells for extra decoration. an old sheet or plastic tablecloth (to protect your work surface). A photo frame big enough to fit the number of prints you wish to use. (A small frame with just one print would look great too). Plaster of Paris (you can find this at most craft & discount stores). I used a 1kg bag to do this sized frame and it cost $4.95. Start by covering your work surface with something to catch the sand and any drips of plaster – we used an old tarp. 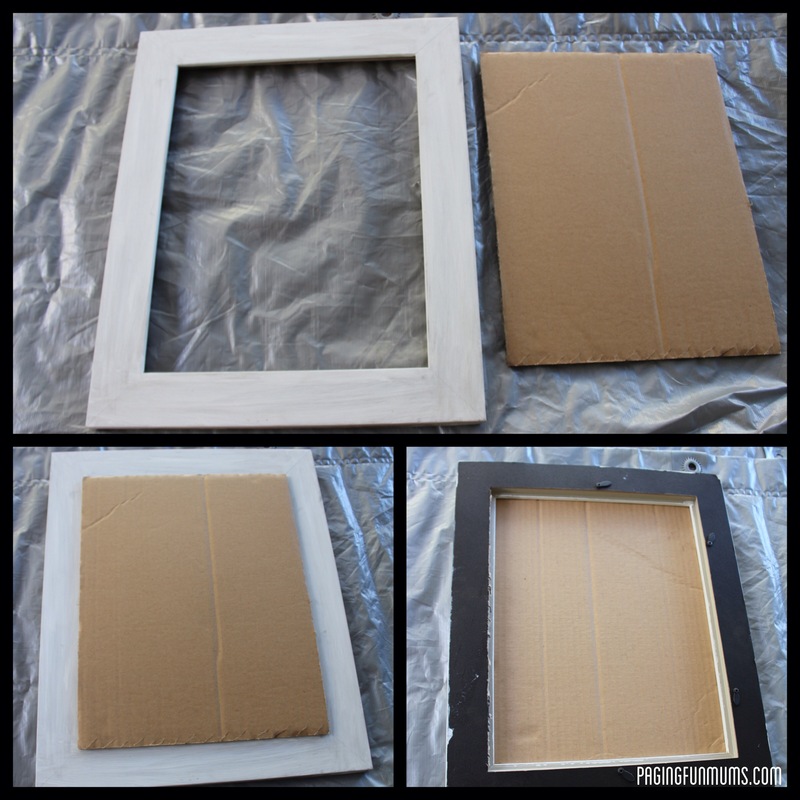 Remove the cardboard backing off the frame and carefully discard the glass from the frame (this will not be needed). Place the cardboard backing over the front of the frame and flip it over – this will create a nice box that you will then fill with sand. I used a flat piece of cardboard to smooth the sand out level with where the glass used to sit (the first inside groove). How to prep your frame. 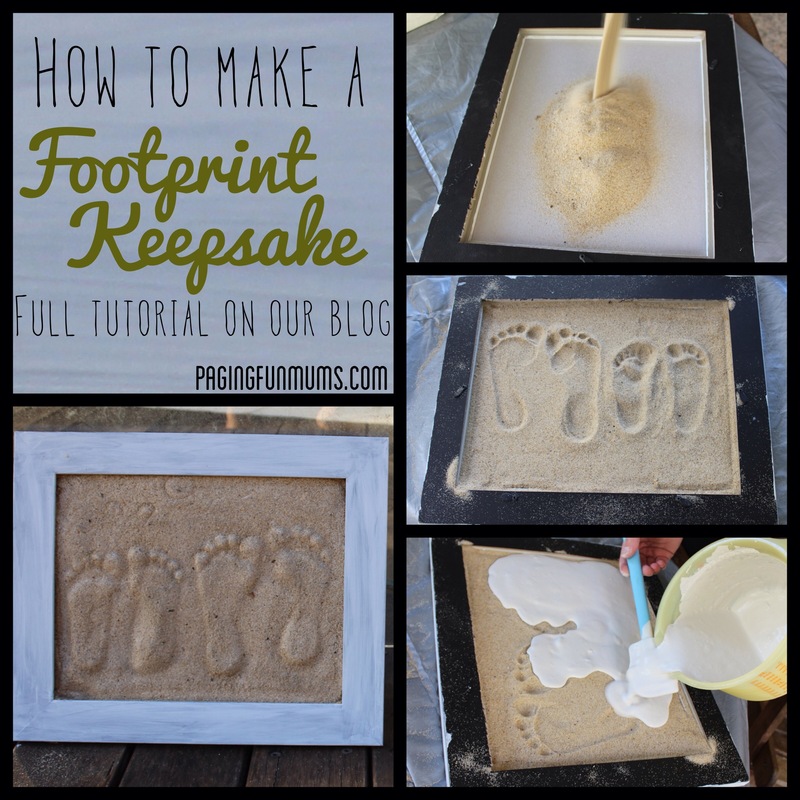 Carefully stamp each foot into the sand to make a nice impression – we had to re-do this part a few times with my 1 year old – he just wanted to squeeze his toes into the sand. Once I was happy with the imprints I set about mixing the plaster of paris as per the packet instructions. Don’t worry if you don’t get a perfect one – you can re-smooth. Then gently and slowly pour the mixture over the sand, starting in one corner and covering the whole inside of the frame then using a piece of cardboard level the mixture GENTLY – don’t press down too firmly. As you can see in these photos it can get a bit messy but this is the back of the frame anyway. Leave plaster to set as per directions on packet – mine was hard after 5 hours – it was a hot and dry day though. Once you’re sure your plaster has set you can remove the cardboard from the front, tip the frame over and dust off the excess sand. I then gave it some more drying time in the sun before spraying with a sealer. This will help glue and seal any loose sand. I then used a glue gun to attach some tiny shells around the picture to add some extra detail. I also wrote “Summer 2013” on the back with a little blurb about all the fun things we did over the summer. Hanging on our wall :). My little girls feet frozen in time. You might also enjoy watching our other videos on our YouTube Channel. That’s wonderful Kim. I’m sure your daughter will love it :). I’m going to do this with my grand kids for their Christmas presents to their parents for Christmas 2014. Thanks for the great idea. You’re so welcome :). We would love to know if you give it a go. What did you use for your sealer? I’m not sure what to look for! I used a spray called Craft Smart sealer. I bought it at my local craft shop but I’m sure hardware stores would stock something similar. I’m not sure it necessarily needs it for the sealing – I used it to make sure the sand would adhere properly and not keep coming off. I’m in the States- what is spray on sealer? Oops, should have read ahead! I think any type of spray on craft sealer would work. It helps secure any loose sand grains too :). 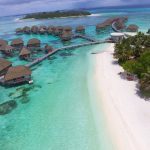 It is very easy once you set everything up – don’t forget to smooth the sand down nice and flat – make a good print, if you’re not happy with it just smooth the sand out and start again. 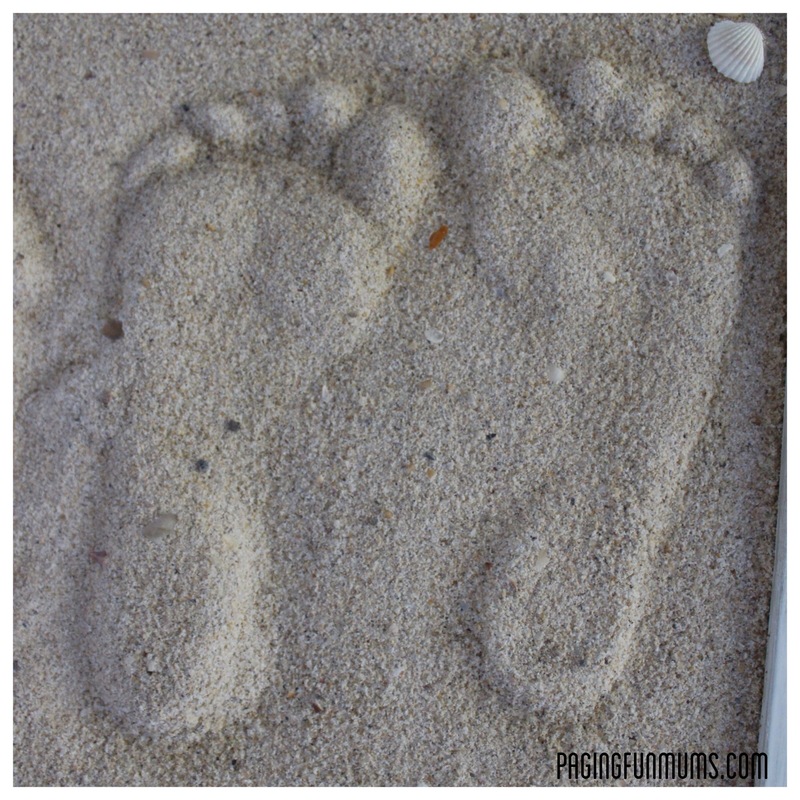 It took a couple of goes to get my 1year olds prints – he kept wanting to squeeze the sand between his toes :). What a brilliant idea! I’m guessing that the regular acrylic spray that you buy in the paint section would work…also, I’ve used hairspray to keep glitter from getting everywhere. I wonder if in a pinch that would work instead of the sealer on this project. Yes, any clear spray should do the trick ;). Hairspray did cross my mind however I had a Craft Smart spray in my stash already lol. That’s wonderful, thank you Pauline. I hope you give it a try with your kids? Be sure to share a pic with us if you do. Such a precious idea and keepsake. We have a 7 and 2 year old. When our twins are born, this will be perfect!!! Thanks for posting! Would we need to use a shadow box I haven’t seen frames that thick? I don’t think you will need to. Our frame is roughly, under 1cm deep – because you remove and discard the glass it won’t matter if the prints are raised out a little. I love this! I have a feeling it will be hard to do with my 17 month old. But we are a beach family also. What size frame did you use? 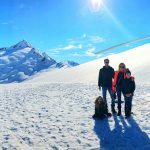 I had Jenni over to help, we did all four of our kids footprints together – It was much easier to get my 14 month olds with her help. The frame is 26 x 34cm inside – Just depends on the size and number of children you have as to how large your frame will need to be. Let me know how you go :). Sorry to hear it didn’t work out first go. I might suggest that you maybe dampen the sand slightly…we didn’t need to with the sand we used however sand can be different in texture depending on where it’s from. Check that you can clearly ‘see’ the imprints in the sand before you add the plaster and be careful not to add too much pressure as you poor or spread out the plaster mixture. You could also add a little more water to the plaster to make it a bit runnier but I would e careful not to add too much in case it doesn’t set properly. I think the most important thing is that the impressions are deep enough that you can clearly see them as in our photos. I hope that helps – please let me know how you go second time around. 1.) Do you think it would help with little kids to use wet sand? I think it might make a better impression, though I imagine you would then need to let the sand dry in order for it to stick to the PoP. 2.) Did you do anything to secure this to the frame or will it just do so naturally? We experimented with wet sand but it kept sticking to the kids feet…I thought afterwards maybe if we put some baby powder on their feet first? We ended up using the dry sand, the only print that wasn’t great was my 14month olds (because he kept squishing his toes into the sand). The others turned out great. I’m not sure where you live but I’ve also wondered about different sand varieties – obviously they would give a different effect and may work better wet also?? As long as the plaster spreads across the entire back of the frame (like the picture) it will adhere to the frame without the need of any glue :). We just added a picture hook to the timber at the top to hang it. Hello, we did this and our sand was a bit more coarse and you couldn’t see the details in most lightening. So we used brown eye shadow to brush around the prints and it really turned out great. It made them pop. I just found you guys yesterday and I love your ideas!!! This is so cute, I can’t wait to do this with my little ones!!! This is a great idea, in fact my Daughter is 43yrs old ,, when she was in first grade her teacher did this,only she used a paper plate nd made hand prints of the children, as a matter of fact I still have mine,its a great keepsake. Thank you for posting. I can not wait to try this….such a great idea! Do you think a matted frame would work, or am I better off sticking with a regular frame? Thank you for sharing the idea!! It would look great in a matted frame, but I would be very careful not to spill plaster on it (it would be pretty hard to get out!). In saying that, we didn’t get any on the front of the frame…perhaps the advice would be ‘at your own risk’ lol! Let us know what you decide to do & perhaps send us a pic of the finished product! I’m going to try this with the whole family (all six if us) down to new born baby. The sand thing looks quicker to do impression of wriggling baby feet than normal plaster of Paris methods. I LOVE this idea! Our whole family is planning a beach vacation in August this year so I am gonna buy my supplies and take them with me so we can make this keepsake together! Will make a great memory for us and the kids to all do together! I also thought about just using some old junk frames I have and finding my sea shells when I get to the beach and using the hot glue gun to attach them all over frame to cover it completely with shells. Oh, I just can’t wait to make this! I have a 19 month old daughter and my sister has a 2 yr old son and 7 month old daughter so we’re gonna have our work cut out for us! I will let you know how it goes and send you a pic. Thank-you so much for such a great idea! That’s awesome Beverley! We can’t wait to see the results! LOVE the shells idea! It’s going to look amazing! When you say it fell apart – did it crack or did it not stay inside the frame? Without seeing it I would maybe suggest – checking the plaster was the correct mix ratio? You also need to make sure that the plaster is spread all the way across the back and meets all inside edges of the frame. Sorry, wish I could be more help. Feel free to email us a pic if that will help too? 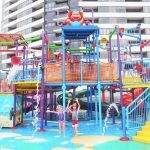 pagingfunmums@yahoo.com.au. We will be making this for daddy tomorrow while he is at work! Thank you for sharing this awesome idea! That’s wonderful! He is going to love it! I’m confused alittle by this, does the cardboard go inside the frame or on the outside and you just sit the frame on top of the cardboard :S and how deep does the sand go inside the frame? also if you cardboard sits underneath the sand then how do the foot prints bubble up? Sorry my instructions have confused you – I sometimes confuse myself lol. The cardboard goes on the outside of the front of the frame…it acts as a seal to stop all the sand escaping. We filled the sand to just above the ‘lip’ where the glass used to sit. The sand was probably 1cm deep (we made sure we didn’t press the feet all the way to the bottom). Make sure the plaster goes all the way to the sides of the frame when you fill it – that will secure it when you gently tip it over. Don’t tip it until its completely dry. I hope that has made it easier? Like I said- I sometimes confuse myself ;). I am wondering how thick the sand was that your kiddos pressed their feet into. I did this project with my kids yesterday and at first couldn’t see their impressions much at all so I added a bit more sand and tried again (I didn wonder about using wet/damp sand). Just checked the finished project today and they did NOT turn out at all. The sand just fell right out. I can’t imagine what else could have gone wrong but it isn’t like the entire back of the frame was full of sand either. Your pictures look so wonderful and I fell in love with the project when I seen it but had no luck…any words of wisdom? We are sorry to hear you’ve been having a hard time with the impressions – we had success first go – but we did try two types of sand before we got a good ‘impression’. We tested both damp and dry sand and had the best imprint with the dry sand HOWEVER I think there is probably a difference of you are using really fine sand? All sands are slightly different – I think if the sand was very fine it might need to be slightly damp? You will need to ‘see’ an imprint before you poor the plaster in – so try a damper sand perhaps until you can see the impressions. Feel free to email us if you have any further Q’s at pagongfunmums@yahoo.com.au. I am excited to try this tomorrow…we brought home sand from our beach vacation…so if it works, it will be extra special! That sounds wonderful :). I’m sure you’ll find it’s quite easy to reproduce. Please let us know how it goes and feel free to send us some photos of the finished frame :). I’d love to try this! ..does the cardboard go under the frame? I’m going to surprise my babies with a trip to the beach in Sep. I think we’ll do this when we come home. It will be beautiful hanging beside pictures of them on the beach. Thank you! What a great way to remember your surprise trip :). We would love to see a photo of your finished frame. I am going to try this this weekend but would like to add either a name or date under the prints. At the risk of sounding stupid 🙂 I will have to write it backwards so it reads correctly when done right? Yes, you will need to ‘mirror’ the writting. Maybe write it on some baking paper then turn it over as a guide? Sounds like a great idea! We would love to see some photos of your finished frame too :). Do you mind me asking where you found the link for this craft? We have had a lot of views today from an unkown Facebook page – we would love to thank them for sharing it :). The FB page is PARENT’S ROOM and thank you for the quick reply to my question! Thank you, what a great page they have – great to see so many of their followers have liked and shared the craft too :). Thanks again. Silly question but how does the sand stay? From the opposite side of the plaster I mean. A layer of sand dries into the plaster so it doesn’t rub off when you turn it over -we then used a spray sealer for a final coat to make it set hard. Hope that answers your Q? This is Awsome I’m gonna do this with the ladies from our Church on our arts & craft day ….I can’t wait I’m happi to learn new stuff to teach them all praise GOD …..thanku for sharing them will all LOVE doin this for them self ……. Would it be possible to rub off at least most of the sand from the plaster? This tutorial is going to be super helpful for a project I’m doing, Thanks a lot! Yes, you can rub it pretty hard BUT there will always be one layer of sand that is ‘set’ into the plaster. I hope that answers your question? I don’t know why you’re claiming you did this. Like the woman asked about above:the sand is level with the cardboard , and there would have to be no cardboard there for the footprint to be convex (sticking out). The only result anyone is going to get is a flat wall of sand because the cardboard is there. How would the footprint be able to press beyond the cardboard? I feel bad for the people thinking this is a cool idea and it’s impossible, at least the way you’re claiming you did it. For those who like this idea, it’s not as cool, but you could do something similar, although reversed, by doing the footprints and then pouring clear sealing over it so you’d at least have the footprints. I can assure you we DID do this and those footprints are those of OUR kids. I’m so sorry you are struggling with the instructions – we’ve had many emails from Mums who have done it with great success. I’m planing on doing another one this afternoon with a handprint. I’m going to film it and post a video of me doing it so you can understand the process fully. FYI – if we say we did something – we did. Just wanted to let you know we’ve added a link to the UTube tutorial in the above post – we also emailed you the link – I hope this helps :). Hi. I was wondering what type of sand you used? 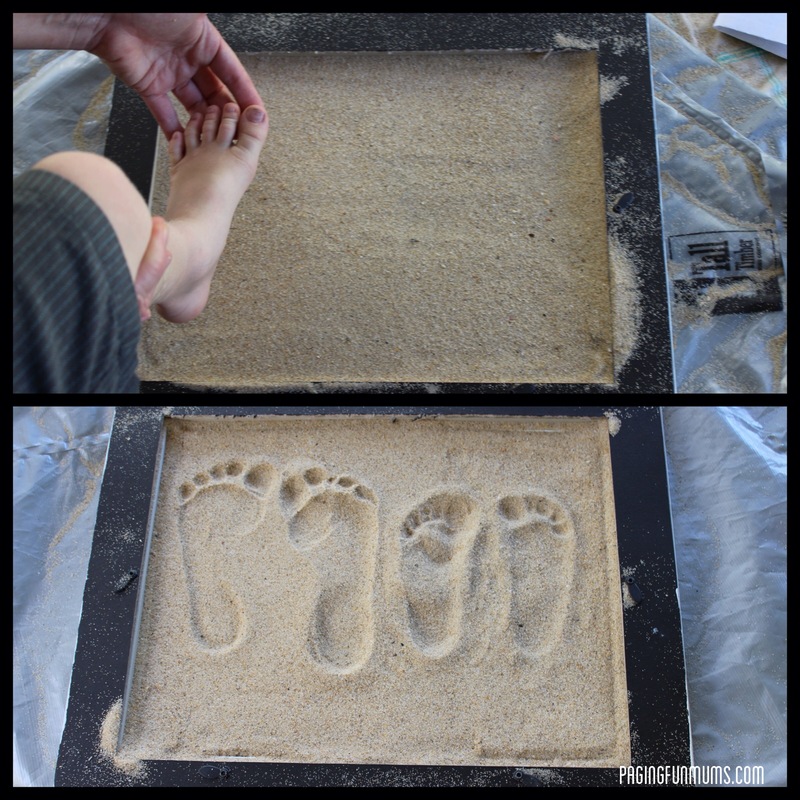 I tried it with regular sand box sand but the foot prints didn’t shape enough I knew they wouldn’t turn out. The sand seemed too thick wet as well. I thought maybe silica sand also known as volley ball sand maybe?? We used some sand from the hardware store – it looked like regular fine beach sand, similar to what would be in a sandpit or sand box. I have also used a crushed gravel type of sand (like the one in the UTube clip in this post)… I found the original finer sand worked the best. Our sand was dry – we did try to wet it but the best prints came from the dry sand. I hope the different sand gives you a good footprint impression – let me know how you go :). Do you leave the plaster on the back or take it off?? Just a bit confused on that!!! The plaster is stuck to the frame and stays on. There is a video link in the above post to better show the process. How do I access the youtube video? When I click on the link, it says the video is private. It should be working again now :). Thanks for letting us know. Hello, I just tried this with my kids with sand from our beach vacation to Myrtle Beach. I was just wondering if you could help in anyway because I got the impression but the sand is all wet now and doesn’t look like yours where yours is dry and the sand stuck all over. I did have to scrape a lot of sand off to even find the impression. Am I adding too much sand? or I know you said that you let yours stand for hours before scraping the excess sand off and I am using the same plaster as you but, our package said it would set in 30 minutes, should I try to do the 30 minutes then scraping the sand off and see what happens? My sons impression was great except the wet sand part. but my daughters was even impossible to see (granted she is 11 months and is very wiggly) But thank you for your advice and this project! Love the idea! Was the sand wet to start with? Or does it just need longer to dry out in the sun? The sand and plaster should completely dry if left in the sun for long enough. I don’t think you could use too much sand – the plaster will only cement to the top layer anyway. Our sand was dry to start with and I left the plaster for a long time because I wanted to be sure it was fully set. It sounds like you’re doing everything correctly. The only advise I would give would be to try with the sand fully dry and make sure you can see the imprint well before pouring in the plaster. More than happy to help if you have any further Q’s :). Hello! That’s all it was! I was being impatient and needed the sand to dry! They look great now! I redid my daughters and it turned out amazing! Thank you so much again! We would love to see & share a photo of your finished prints…if you want to share them? 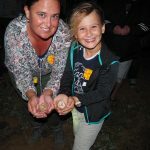 You could email us a pic to pagingfunmums@yahoo.com.au or post a pic on our Facebook wall? No problem if you don’t want to ;). So happy that they turned out well for you :). I just sent a picture. Once I get more I will email you! Thanks again for this project it’s been amazing! Thank you! I’m so happy that you loved the project. I’m so excited to try this! My son just turned a month old today and I’ve been looking for a unique way to save his footprints. This is amazing and it gives me a wonderful idea for gifts for his grandparents. Thanks so much again!!! I really love this project. I first used sandbox sand, which made the impressions stand out, but looked rather “dirty”. Then I used Michigan beach sand – the impressions are lighter, but “sandier”. I definitely had to use wet/damp sand and then let it dry. When I first made the plaster, adding the water to the plaster, I got lots of clumps while stirring. It was better when I added the plaster to the water. After it dried, I used a brush to wipe off the excess sand and find the footprints, probably because I used wet sand and the bottom layers of sand were still damp and clumpy. Thanks so much for this great end-of-summer project! Your youtube clip was very helpful. Are you spray sealing the front of it? Or the back on top of the plaster? Are you spray sealing the front? Not the back where the plaster is. I just did this with my 2.5 year old and my 2 month old, it was so much fun! It took a couple goes to get the footprints because both kids wanted to squeeze their toes haha. For anyone interested we used an 11×14″ frame, dry brown sand from the kids crafts section of Michael and plain plaster of paris. We found it worked best to have the kids sit at the edge of the frame and then we lifted each foot and pressed it into the sand. I’m sure older kids could do it themselves though. I will post a picture when I figure out how 🙂 Thanks so much for sharing this simple, adorable idea! Thank you so much for providing this extra information – especially for our USA Fun Mums who want to try it :). I’m so glad you enjoyed this craft with your kids – I love the thought of all these tiny feet around the world being frozen in time :). Thank you so much for taking the time to comment and we would LOVE to see some finished photos! Hi i need a little help with this. i followed ur tutorial on youtube and the print is perfect but the sand seems to be never-ending falling away from around the frame. is there a way to stop this from happening i tried sealing it but more just blew out and over the frame??? Hi Holly, we just gave ours a good ‘brush’ to remove any extra loose sand. We found the sealer held it together after that. Maybe try to remove as much loose sand and then re-spray again? I gave it a very good coat ;). Hi, i just did this today with my kids i just flipped it over as the plaster was dry but as i flipped it the sand was all damp/wet and sticky most of it not even falling off but when i did it the sand was dry as it could be. i have left it to let the sand dry before removing any sand just incase a layer does not stick to the plaster. do you think it will still turn out? i did this inside is it possible the sand dampened from being in a room with door shut no air getting to it? i hope it works out as it was very very hard for me to get my 11 month old sons foot print. fingers crossed.. I have footprints when I was 18 months old in cement at my parents home (55 years ago) that I want to preserve. I’ve tried clay, didn’t work. Do you think it might work to use a small bit of sand and then the plaster of paris to see if that will get the prints? Not sure how I would raise the plaster of paris up once it’s dry though. My mother just passed and my dad is sold the house. Really would like to get those footprints! Thanks!! Nanay, when I was at school we used polyfilla expanding foam to take impressions of objects for a project. Perhaps that would work for preserving those foot prints? Carefully remove any dust with a brush then spread a thin layer of Vaseline over the entire print and surrounding surface – use an earbud to get into all the little bits – this step is vary important. Use some sort of frame around the print area to keep the plaster of paris spreading and also so that you can lift it easily. Make the pop as per the instructions on the box and pour it slowly into the prints and frame- pour slowly to avoid air bubbles. Wait for it to dry completely and then lift carefully. The Vaseline will wipe off the pop. Good luck! Fantastic idea will do this with my kids love it… And love trying new craft ideas. I enjoyed reading all the comments & questions today (17 Jan 2014). It reminded me of my first grandchild’s handprints on a piece of paper with the verse “Children Are a Gift of the Lord” Psalm 127:3, done in May 2002. He was 4 years old. The 8 x 10 frame was painted gold satin; I will always treasure it. His fingers are about 1-1/2″ shorter than mine. He is now nearly 17, stands 6’6″ tall, weighs about 220-230, wears a size 3 XL, size 16 shoes, and 40 “/32” jeans. My grandson is Still Growing. Who knew? Hello, I was wondering after it is complete what can you use to write on the front? I am having a hard time trying to find something to write the year and country we lived in at the time (where the sand came from). Thanks. What if you had a tiny little plaque engraved with the date & locale & affixed it to the front somewhere? I can not express how amazingly challenged Some of you are. Let me see if i can help…. Get a picture frame, ( Needs to have a small side(Lip) to it, nothing flat) remove all cardboard, paper and glass from the frame. Flip the frame so it is laying on a workable surface, face up. Due to this project being footprints, you likely want your work area to be the floor. Once the frame is face up in front of you lay the cardboard that came with the frame ( Using what we have) or make a new cardboard cover to cover the hole in the frame. Once covered, gently covered turn frame over. You now have floor, cardboard, frame that is upside down. Without moving carefully fill frame with1/4 To 1/2 inch of sand. Firmly press feet into sand, if you do not like the sand print, brush over it and try again. Once you have desired prints mix plaster according to directions. Starting at a corner pour slowly and gently until the entire frame is full of plaster. Brush off excess sand, when you do this a thin layer of sand will be stuck to the plaster giving the illusion it is made entirely of sand , and the pribts will be Raised!!!! Spray with sealer, pollyeurathane works well. Tada, RAISED foitpribts in the sand. I just made this using my 11week old by myself. It turned out fantastic, thankyou so much for creating and sharing this. The only really frustrating part was getting him to not curl his toes or squeeze it with his hands. 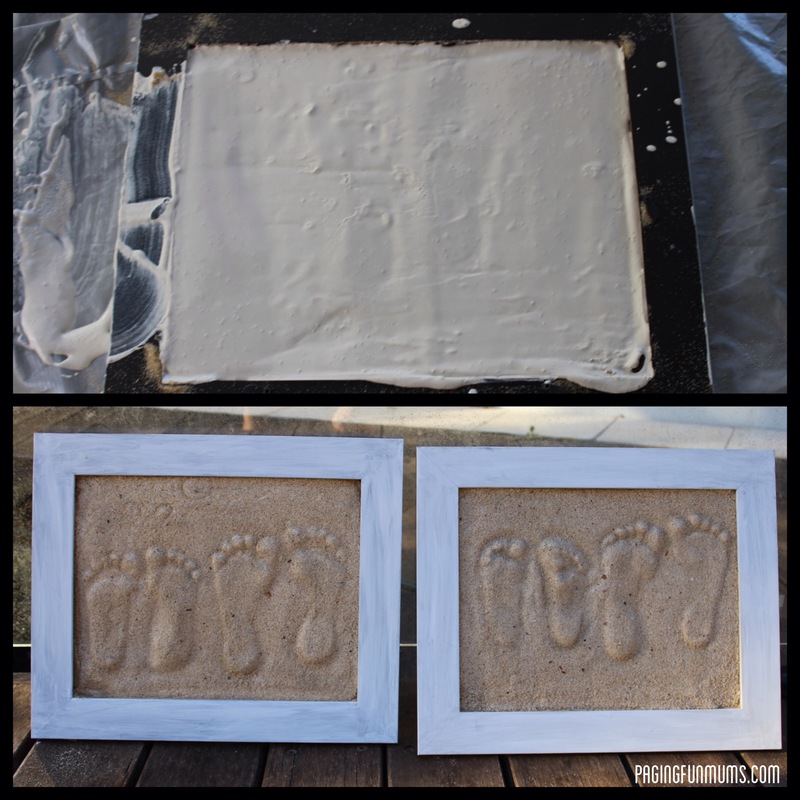 Just some tips for people, I found that if you do the print in dry sand then spray the sand with some water helps it to bind with the plaster, when mixing the plaster make sure you pore it as soon as possible that way the sand will stick better and also if your crazy like me and want to attempt this with a new born it is better to make a model first using another diy project on this page called baby keepsakes after you have made the model use some modelling clay to make an impression from the model then it is as easy as using the modelling clay to make the imprint in the sand. I know it sounds like alot more work but trust me it will save you alot of time and you can make other projects from the modelling clay cast like painting without having the worry or mess of painting your childs hand. Absolutely love this! When we go to the beach we always make a sandprint with all the family’s feet within a heart shape and scribble in the date and location. This is SO much more fun! Try damp sand..it should hold together better. The Youtube video was quite helpful I wasn’t grasping the concept too well but that helped a BUNCH!! can’t wait to try this with my son!! 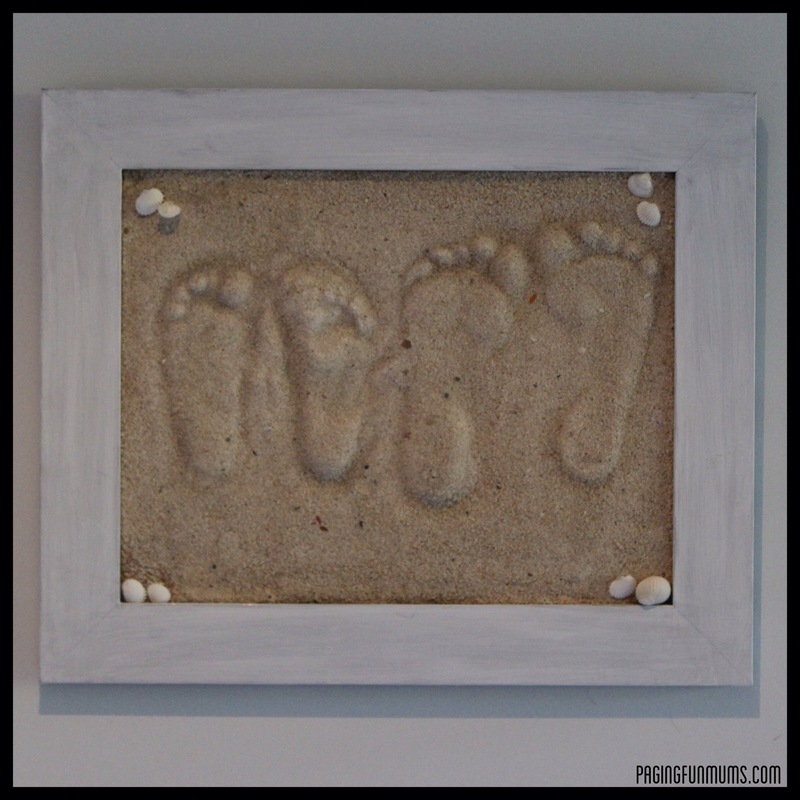 Sand Footprint Craft. Oh my God, what an amazing craft. I just love it. I just had to say thank you for this idea! I never understood how people got the bottom of the foot print to look like that! My family took a vac. to Florida and we all did our footprints in the sand and then took a pic, this will go great with that! Love this idea. Want to try more. Sounds fun . Will try with the Grand children. This looks like a great Mother’s Day gift. It would be really cute to write the year/beach in with the feet. You’d write it backwards for it to come out right. Is there a way to keep the glass in the frame so it will be protected once finished? Do you have to have the sealer right away? Or can I wait until next pay day. Lol. Would the sand eventually fall out of the frame? Could you put the glass in to keep it all in as I would like to post this once made and thought it would protect it a little more. Did this today and could not get a good print at all. Is there a trick do get it like yours. I could not find any as well. So we used some clear gloss spray paint. We did this project. Turned out awesome but was not an easy task. I am wondering if you could do this with dirt? We don’t go to the beach (live too far away), but we are always in the mountains, so it would be more fitting with our family to use dirt. Or I will just buy some sand. I’m not sure if this would work, but I’ve seen lately a product you can buy. It’s sand that you can mold into anything you like (sand castles, etc) and the sand stays all together without making any mess. It says you can use it over and over and it doesn’t dry out. Seems to me it might make a better print and once you seal it, it should look like this project does. I believe it comes in a few different colors but of course it comes in a sand color. I don’t get to the beach very often either so I’m gonna try this stuff with my granddaughters. Going to try this this afternoon with my sister and use my son and neice’s footprints to give their grandpa on Father’s Day for his beach house! So excited to try! I love this for Father’s Day !!! What size frame did you use for the footprints ? Would colored sand look ok? Do you know how much sand you used? I’m using an 8×10 frame. Just wondering how much I need to buy. Thanks! Wow, awesome!! Looks like dad is getting a late Father’s Day gift. 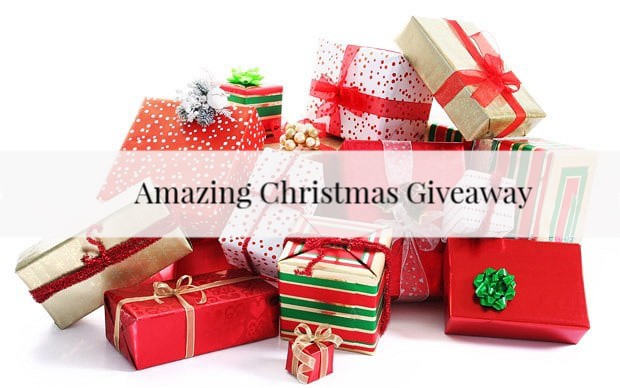 It would be nice to make a few at one time & give as gifts at Christmas time. Give to mamas, aunt, daddy’s, uncles, grandparents ect. These you could make ahead of time like months ahead & not worry bout last minute christmas shopping for those certain people. Make Christmas shopping a little easier. Terrific idea! I am going to do it this weekend!!!! Thanks!!! Best to spray sand with hairspray after the footprint(s). The shape will stay better. If you’re making more than one, get your Plaster Paris from Home Depot or Lowe’s. MUCH cheaper when you buy it in a big bag there. i followed your instructions and it came out fine.i also used brown decorative gravel mixed in with the sand and it turned out great.by the next day everything was dried….unfortunately i tried to help my friends two sons do one for their father and the sand crumbled and the plaster wouldnt dry. i think since they used water for theirs they might have used too much water. This sounds great. I have 2 little dogs, can I do it with “Paw Prints”? Could u spray a glow in the dark spray on it so it glows ? I’m living on the sea and i would like to try this but in my country i can’t find plaster of paris. Can i use something else to do this. I am from Croatia. I tried doing this with the two kiddos I watch for their moms birthday and I couldn’t get their footprints to stay. How can I get the prints to stay? I see that one of the finished projects the foot prints were risen and in another they were set in, like actual foot prints. I would like to do one where it looks like its actual foot prints in the sand how did you do that? I did it! And I love it!! Idea for y’all, buy a shadow box frame 1 size bigger than picture frame used for footprint, then you can put small things (shells, starfish, old wood/sticks) inside with some sand at the bottom, to give it a more decorative 3d effect… Can’t wait to finish mine, thanks for the idea! What I’m trying to figure out is if you’re doing this from the back of the frame and that’s where you are pouring the plaster, what keeps the sand in the front from falling apart before you sesl it, when you go to flip it over and seal it? Mine as well redone with thicker plaster as for prints I wet sand then had kids do prints it helped stabilize sand long enough I also let dry overnight as its cold and rainy the days I did it…..
My son coincidentally hates sand. I bought everything to do this on Friday and as we went to the beach on Saturday I realized how bad of an idea it turned out to be, but we tried anyways! I can’t get good prints to save my life though. Could it be that the sand isn’t deep enough or should I try dampening the sand? This is so clever! Pinning and hope to give it a go soon! Thank you Maryanne, be sure to share your creations with us! This project honestly brought me to tears. first of all there is no specification on how deep the frame needs to be, that might help. second, as I see now from the comments(which i should have read before) this project obviously doesn’t have a huge success rate. So I think that you guys are not mentioning something on here that is important. I really was excited for this and read the instructions problem 40 times. I tried redoing it 3 times. I’m feed up, and upset. thanks a lot. I am having issues getting my plaster of paris to a runny texture like yours. It is more like sour cream, thus it has to be spread by hand and causes the sand to shift. I tried adding more water, but still never got runny like yours, just kept looking like more and more of it. Can you tell me what brand plaster you used and is there a trick to getting it that texture? Thanks! Hi Stephanie, The brand we used was ‘The Craft Warehouse’ in Australia. We mixed it per the packet instructions. Maybe your local craft store could give you some advice on a alternative brand to try? Sorry you are having issues. Well THERE’S the problem….. She’s using Australian water…. There are 2 things can change the consistency of plaster. 1 how much water you add and 2 how much you stir it. If you stir it to much it will thicken very quickly. As long as the plaster is dry you should be okay to flip it :). Hi…we LOVE the sand and bring some back from all our travels I really want to do this….what is the”sealer”? I’m a grandma ,want to try this with my 5 yr old grandson,I have shadow boxes to use for frames hope they work. I tried to on a large scale. My two sons and me, when I flipped it, the plaster cracked. Was so disappointed. I guess I’ll have to do each of our feet separate. I was really excited to do this, but never got past the first step. The kids’ footprints didn’t even look good in the sand, so we didn’t bother moving forward with the plaster. I tried smoothing the sand, misting it with a little water, but still no luck. Cool concept for the crafty… I must not be that. Try having the sand damp so the footprint is crisp- just like at the beach footprints are clear when the sand is damp. I did this with a class of 6year olds but we used a dry starfish instead of a footprint then partially buried shells so they stayed in the plaster of Paris. It turned out beautifully! Try mixing the sand with vegetable oil to help stabilize the sand for imprinting. One cup oil to 10 cups sand. 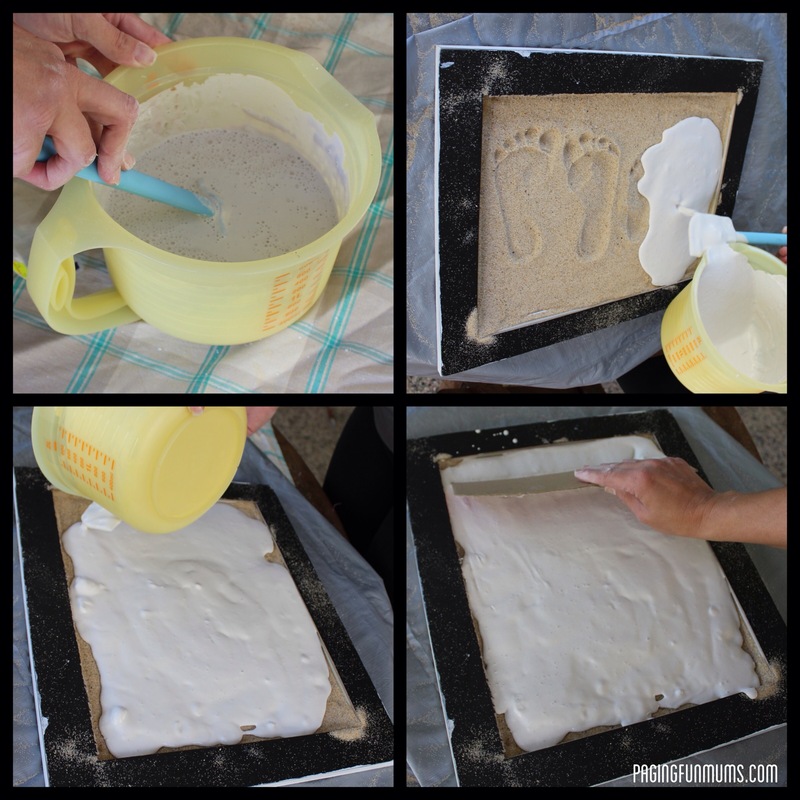 I saw that tip for a different plaster sand imprint craft. Mine turned out great! Thanks for sharing the how to with this awesome idea! Did 2 while at the obx, one for me and my mom since we vacationed with Nan 🙂 collected lots of shells, will add a few! Next plan to try a larger one with the whole family including 2 dogs prints. Lol was glad my 8 month old cooperated somewhat to make this beautiful keepsake! Hi Melissa, That is so great to hear! Are you on Facebook? We would love to share some pictures of your creations with our readers? You can message our facebook page directly here if you wish -https://www.facebook.com/PagingFunMums :). Thank you so much for taking the time to let us know! I am wondering what kind and brand of plaster you used? Also, what mixing ratio? I really want to try this again, but want to make sure it will go as planned this time. So happy you enjoy our page :). You should be able to fix minor imperfections and to repair cracks, etc, by using Elmer’s glue and sprinkling sand on top before it dries. The glue dries clear. I tried this and ruined my piece. The glue idea is great, but the sand turns wet and dries that way. Now I have dark wet looking spots. It looks very ugly. I have scraped as much as I can off the art , filled in the groves with just elders glue, and when it dries I need to figure out how to cover the dark spots with dry sand with that happening again. I am thinking spray glue. What a beautiful idea! My husband and I would like to do this with our son as a gift for a family member, did you just use sand from the beach you went to? We live in the Northwest and are within driving distance to a beach, what kind of sand might we be able to use and do you have any suggestions as to where to purchase it? Hi Elizabeth, you can use both beach sand or sand that can be purchased at most craft stores. Good luck with your project! Hi, I was wondering what kind of spray on sealer you used because we can not find any in the stores. I thought about substituting a very strong hair spray instead if we didnt find the sealer. Do you think this would work or would it ruin the prints? This is a great idea! I can remember doing something similar as a child with my Mom, only at the beach we made pictures in the sand with sticks and stones and things and then my Mom poured the plaster over them, at the end of the day we dug the out of the sand and took them home. I wish we had thought of doing our footprints. I was wondering what size frame did you use for the foot prints? The frame I would like to use is 8.5in x 11in, so I’m trying to figure out how much plaster I need. I did this technique a few years ago on a wolf print I came across while in Canada. The print was in the mud so i didn’t have quite the sand affect as you have. I put my print in a shadow box and have it hanging on my wall. It’s a great project. thanks for posting ideas that are fun, easy and inexpensive. That is really neat! I never thought about how a footprint would look from the underside. SWEET! 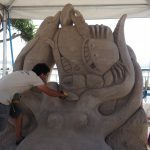 Do you have to use actual sand or will craft sand work? How heavy is the final product? Can it be hung up on the wall? DO you have to use wet sand or dry sand? Which is better? Thanks. Ours has been a disappointing and now expensive fail! Plaster of Paris (now 3 different times) never comes out runny – won’t pour. Various ratios tried. Fathers 70th bday present sadly unobtainable. Deflated!!! how about the colored spray paint if we cant find the clear spray? we made these this week! They turned out pretty good for the first try. On the dad sand craft, how did u make the letters in the sand? What did u use to make the impressions? Thank u for the information! What size frame do u usually use and does it mater how deep the frame is? I’m sure she/he just used their finger and drew in the sand. Was your sand very dry? I think it needs to be damp. Or maybe you need to add more sand..? It worked for me! I tried to post a pic of it but it won’t let me. I bought a folding picture frame so I could put a picture with it. I did it with my 3mo old. When I sprayed the sealer on it melted the paint off the frame. Next time I’m going to cover the frame before sealing. What kinda sealer should I use? I am very exited to try this with my son, as a gift for father’s day. I was wondering if it glass could be left on? this might be a dumb question, but I’m more of a visual person. Hi Sonya, you might be able to leave the glass on if its a really deep shadow frame. I had to remove ours so their was enough depth of sand to make the imprints. I see that multiple people ate having issues and there questions are not really being answered, yet you took the time to thank all the others that had good results or like the idea. Seems you would take the same time out to help those needing help…. This is happening right now! Anxious about the results…. I did it and it turned out great! We just did this for Father’s Day and I’m glad to say it turned out great. Thanks! I just realized I put the cardboard in the frame. Am I going To be able to get it out? This is the first time I have ever commented on something but I felt like this one needed one. First of all this does work for the ones who said it didnt. It took me three tries before I got the one I was happy with but I didn’t expect to get perfection on my first try with this being something I have never done before. I can say that it worked best when I had a thicker layer of sand. The first two times I didn’t have as much and the prints didn’t get very deep. And I also used a spray bottle and misted the sand then stirred it up. That way the prints held better. This year was the first year for 2 of my 3 children to ever see the beach so I did all 3 kids prints in the sand now we will have their little feet in the sand to look at forever. Love it, love your blog. Hi! I absolutely LOVE this idea! Last year I tried to take a picture of all my kids footprints in the sand but I couldn’t get the lighting to show right…. is there a way to do this so the footprints are the original way they look in the sand instead of seeing the other side? Not totally the same, but try a soft clay or maybe there’s a way to harden up play sand with glue or modpodge. I tried it once with decor sand from the craft store, because I wanted to try it with a specific color, and it was too difficult to get the prints with my kids, without them ruining them. I also didn’t quite think it through and tried to put a couple shells in the sand under the plaster, but that didn’t work too well. Then I tried again with regular sand. I noticed that someone mentioned their plaster was too clumpy, I used a kitchen wisk to stir it the second time, and it seemed to help a lot. The second turned out as good as it could be with the prints I was able to get from my 2 year old. The frame doesn’t have to be deep. The deeper the frame, the more plaster you need. Almost all the sand will come off, because you are really just getting a thin layer of sand that sticks to the plaster. Then I hot glued a few shells as well. Thank you for the idea. It was a great birthday gift for my mom from the grandkids. thank you NATASHA for sharing the how and what you did for it to actually work, there has been so many comments above of people asking for help and any advise on the what might have gone wrong to their project and no replies what so ever from paigingfunmums, only one where she mentions a video but WHERE CAN WE FIND THAT VIDEO!? sorry but you seem to reply to the people who had success, how or why can’t you reply to the ones who need help. It does looks like a great project but maybe some of us are not to good with the arts and crafts parts and a bit of guidance can help . i am wondering if you put the plaster in first and then the sand on top and then make the print what would happen. I’m not sure how old your question is, and I’m guessing the idea is so you can get an actual impression, rather than a bas-relief. However, you would likely have to leave the feet in there (caked in Vaseline) until the plaster of Paris sets to get an imprint, and feet being the way they are, you won’t get a clean impression. The way the tutorial is set up, the sand acts as a mould for the plaster. I love doing all this with my children! 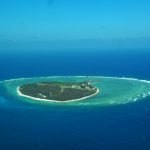 this website is the best site for this great project to go by from. they gave clear details on how to do the footprint project. Fantastic!! I am trying my 3rd time today… I did a large frame and didn’t know exactly how much plaster to mix I mixed 3 4lb packs and one pack turned out to thick and looks bad. Next time I mixed plaster and it seemed to runny thought maybe put to much water… Drove 2 blocks ran an got another pack by the time got back it turned thick and was hard to spread everywhere… Today is my 3rd try! I really hope it turns out I want a nice keepsake of my 4 kiddos. I’m so excited to of found this. We brought sand back from California when we took our daughter to meet her great grandpa for the first and last time and this is the perfect thing to treasure the trip. If I want to put words would I need to write them backwards? This is a great Idea Im going to try it for christmas gifts for parents and grandparents, for the kids I Nanny for. I hope it turns out. How do you put the back on so that it can be hung if the plaster is level in the back? Hey just want to know what kind of sealer was used? I have tried this 6 times now and for some reason none of my sand wants to stay showing all plaster basically is there something i can use to glue the sand on :/… not sure what i am doing wrong. Any ideas please let me no product names for adhesives. Helppppppp!!! I am having the same issue!! however I just used Modge podge (PVA glue would work too I guess!) and covered the plaster with it and sprinkled the dry sand over it! If you are buying sand, what would you recommend? I bought sand box sand from the closest home improvement store and it didn’t work out well at all. Looking for suggestions for other sand to try (since I don’t live close to a beach). Any clear sealant will do the trick. Maybe ask at your local hardware or craft store. About how much sand do you think I would need for an 11×14 frame meant for two sets of prints? What a bummer! Plater of Paris isn’t a brand, it is a plaster type. There are many plasters used in construction, but plaster of Paris is mainly for crafts, so it’s properties are important to have for this and many projects. Once the plaster stays above the sand, the other issues should go away as well. Good luck! I love this idea, but am also having a couple of issues. I’ve tried it twice and both times, some of the Plaster of Paris got on the front of my frame. Also, when I poured it, I there were some added intentions from the actual pouring. I’m ready to try it again, but don’t want these same problems. Any thoughts on what I might be doing wrong? Hello, so I tried doing this yesterday with sand from here in NYC. The imprints of the feet were clearly there. Tried with plaster, one more runny then the other and neither turned out. When I took the backing off this morning there was nothing there, the cardboard backing was damp. Does this mean it didn’t dry properly? Or my sand wasn’t good? Do you think it would be a good idea to leave my sand out to dry first then try it? Help!?!?! I want to do this as an art class craft! Hi Amy, We’re so thrilled to hear this. If the weather has been wet it may take a little longer to dry. If the sun comes out I would suggest gently placing it in the sun for a couple of hours. It needs to be dry before you seal it. I tried and tried to do this, as this was the only gift I had to give to my wife and I bought so many different types of sand and tried so many times and it never worked! I tried for days and without any progress at all the footprints wouldn’t come out no matter what I did, I’m very disappointed and now I don’t have a gift for my wife, I’m not sure how you did this but I’m pretty upset!